When I was growing up, I liked to kid my old man about how cheap he was. He was thrifty to the point of being too frugal and was always looking to find the lowest-priced version of whatever he was buying. Sometimes this went too far. I still joke about the screwdrivers that he bought for $1.79. The whole set was $1.79. Like most low-priced things, they were cheap for a reason. Each tool lasted exactly one use or less as the blades chipped or the handles pulled off or the shafts bent. So they were really disposable tools that had the added features of aggravation, skinned knuckles and another trip to the hardware store for another tool to finish the job. Buy The Absolute Best You Can Afford. I would further point out that many repair shops are charging $80 or more an hour to work on cars these days. That much money buys a lot of good tools. Eighty bucks worth of tools can do eight hundred dollars worth of work. And it they can do those jobs more than once. Up top are seven wrenches grabbed from various projects and cars over the years, presented as a way to get an idea of what to look for in affordable tools. All the way to the left is a wrench that was provided in the factory toolkit that came with every new Fiat 124 Spider. It is essentially a stamped piece of metal with an anti-corrosion coating. The seams are rough and the tool itself feels sort of flat and clunky. If you have absolutely nothing else to use, go ahead and use the tools that came with the car. They are probably more valuable as a collector's item than as an actual accessory to repair or maintain your car. Next in line is a shameful example of the kind of original equipment wrenches some companies provide. I won't name the brand of car these came with, but suffice it to say the car is often invoked when talking about High Quality and Precision Engineering. The tools that came in the cloth roll in the trunk, however, were very cheaply made by anyone's standards. 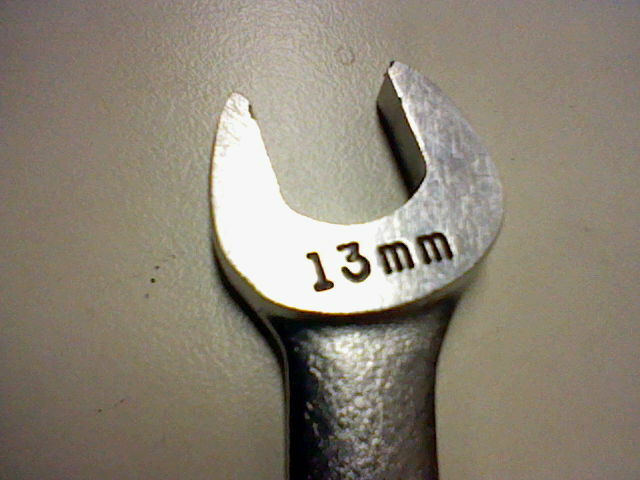 Like the Fiat wrench, they are a low-cost stamping with rough seams, and they are not chromed. This has led them to actually get rusty while in the trunk of the car. If you have tools like this, throw them out. Do not use rusty tools. One slip and a bloodied hand later and you are off for a ride to the doctor's office for a tetanus shot. Any savings you realize by doing your own car work disappears when the price of repairing YOU has to be factored in. Next is a fairly good example of what I call Chain Store Tools. They are a sort of no-name brand, often made in Asia, that are low-priced and reasonably reliable. They often come in boxed sets and include lots of sizes of wrenches or sockets that you may never use. (I can truthfully say I have never used a 16mm tool on anything in my life. One of my department store tool sets came with just such a socket.) 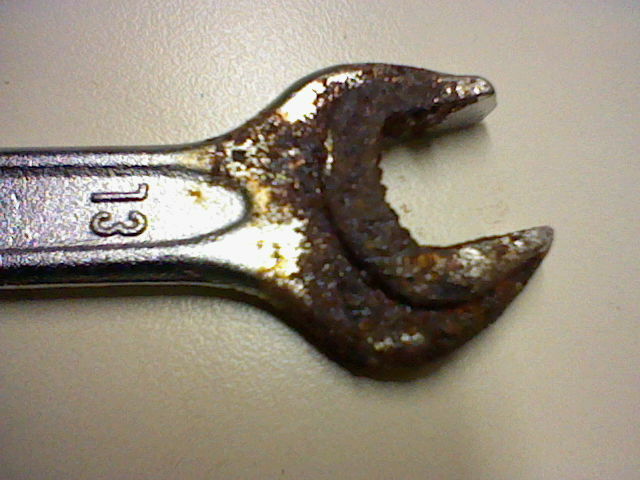 Although this wrench does have chrome plating and smoothed-out seams, notice that the metal around the wrench jaws has started to peel and flake. Over time, these too will begin to rust and should be retired. The best use of tools like these is to carry them in your car for emergencies or to bring out in environments where your tools might get stolen. Right in the center is an example of one of my favorite brands. It is a Facom wrench, made in France and sold by S-K Tools in the US, and you can start to see what good quality looks like in wrenches. It has smooth curves and a brushed chromium finish. Notice how sharp the numbers are that show the size in millimeters. 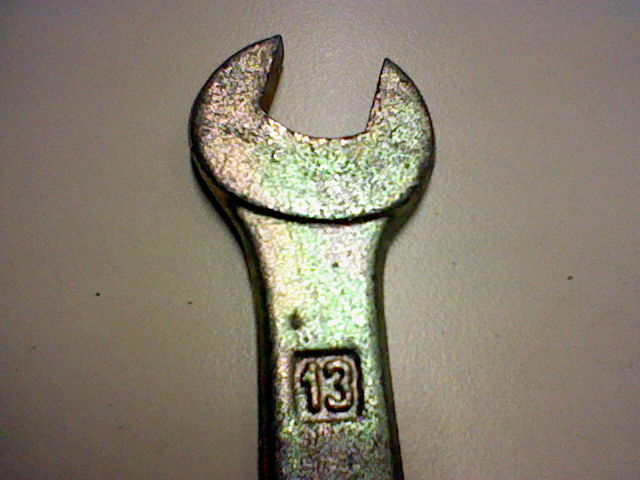 This is a forged wrench which gives it extra strength over stamped or cast tools. It has good balance and feels great in your hands. 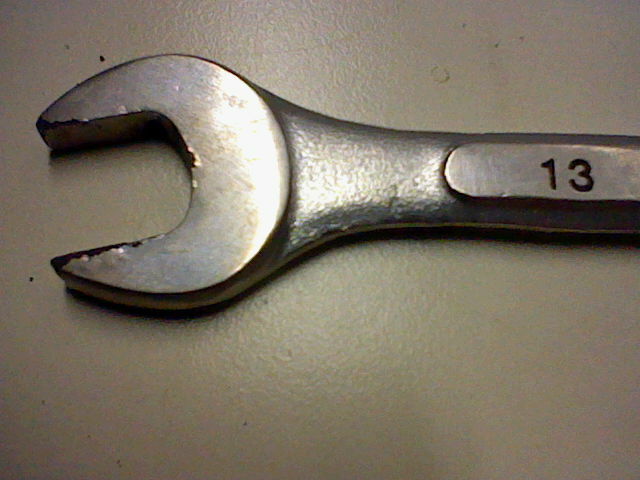 Wrenches like these make work that much more enjoyable to do. That said, Facom tools are not inexpensive or easy to find in the USA. They are great for metric applications (like your Fiat 124). The French invented the metric system and they take standards very seriously. These wrenches fit well and are less likely to slip or round off nuts & bolts than the mass-market brands. Next over towards the right is a tool from a company that arguably makes the best wrenches in the world. 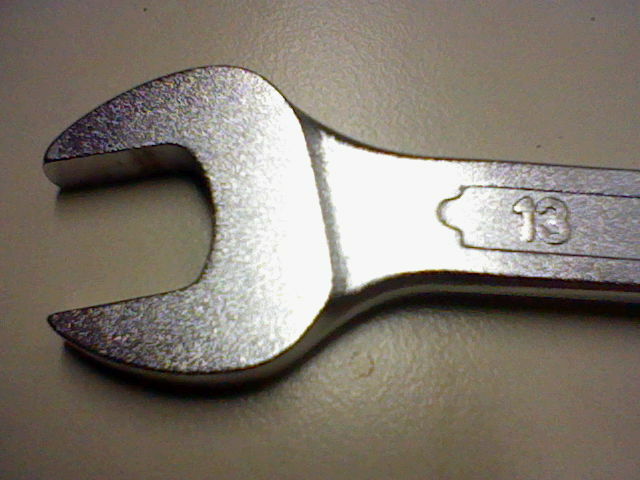 It is a Snap-On 8mm combination wrench that I bought for bleeding the brakes on Fiat cars. Snap-On makes fantastic tools, but they are really meant for Professionals. That means people who work on cars as a business and so are able to deduct the cost of tools on their taxes. Snap-On products are priced accordingly. If you can afford them (or convince your significant other that you can afford them), buy them. You will never regret getting the Best of the Best and years later, after dozens or hundreds of tasks you have relied on them for, you will recognize the original purchase price for the real bargain it is. 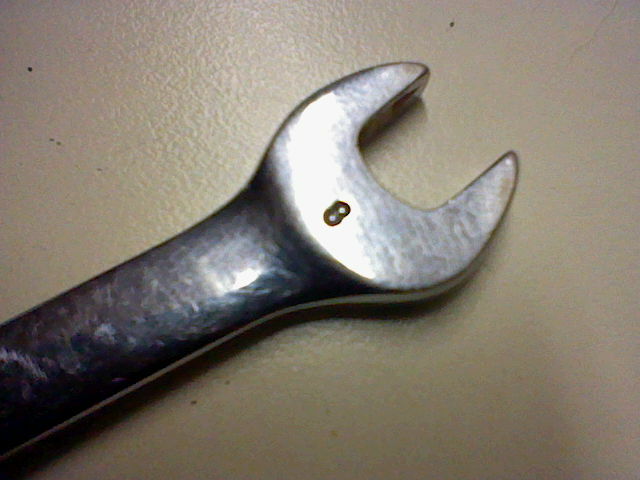 Next over is a Beta wrench. This is another European brand, very well made and available in a wide selection of metric sizes. Beta used to be the original equipment wrenches for Ferrari and they make a great Quality Ambassador for such a highly-regarded automobile. Like the Facom tools, they are fairly expensive and not plentiful in the USA, although they are an absolute joy to use. The last example may well be the best value of them all. 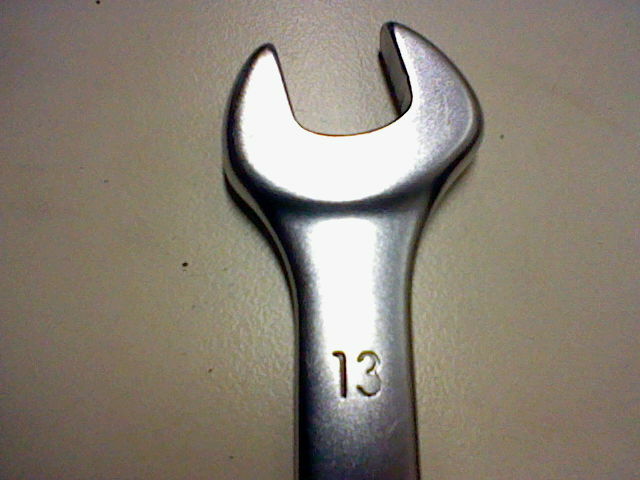 It is a Craftsman combination wrench from Sears. These tools are chunkier than the svelte and sculpted European wrenches and they lack the sheer purposeful artistry of the Snap-On tools, but they are excellent work-a-day companions for all of your repair and maintenance needs on a Fiat. They are made in USA and, although not as handsome as some of the other tools, Sears has brought out a line of sturdy and affordable home mechanic-grade wrenches and sockets that are certainly strong enough and well-made enough for most do-it-yourselfers. They are widely available in the USA. They are warranteed for life and have the added convenience that, if you do actually break one, you can exchange it at any Sears store. Many of the other Lifetime Warranty tools have more obscure vendors and require a little more effort to make returns or exchanges (like chasing a huge van all around town). The Sears tools are regularly on special sale, come in metric and American sizes, and can be bought in sets that contain a fairly comprehensive selection of wrenches and sockets. Some even have handy carry cases or drawer organizers included. So there are my ideas on standard tool purchases. Buy the Best you can. Take care of them and they will outlive you. The crummy tools will disappoint or injure you. The Top of the Line ones may never pay you back financially, but some of the price includes the visceral pleasure of having a well designed and well-crafted wrench as a co-conspirator in your repair schemes.